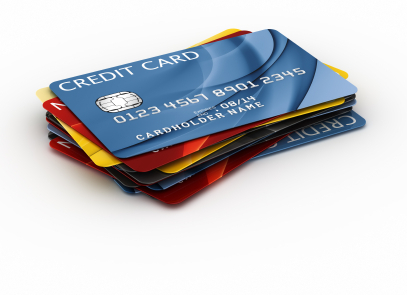 Credit cards are an important way of life for most Americans. According to CreditCards.com, the average consumer has nearly $16,000 in credit card debt, and the average interest rates of credit cards range from 10.37% for those with excellent credit to 28% for instant approval credit cards. So are there different levels of service for credit card customers depending on one’s credit and past financial history? For a consumer who has been involved in a bankruptcy, has judgments or poor credit based upon late or skipped payments, interest rates are always higher, but poor customer service should not go hand in hand with poor credit. Many people in dire financial predicaments have been unfortunate victims of a stressed economy, catastrophic medical emergencies, or divorce, but are now looking to obtain the tools to once again demonstrate their strong financial responsibilities. Bad credit comes with high fees and interest rates, but as a consumer works their way up into a more acceptable credit score, the perks get better, and the fees get lower. Where it is dubious for someone with a secured credit card based on high fees and money needed in an account to expect the same level of customer service one receives from the American Express Gold or Platinum cards, it certainly is a reasonable expectation to receive fair and timely service for all credit cards. Unfortunately some credit card companies rate the effectiveness of their customer service representatives by how quickly they can get the consumer off the phone, and then onto the next. Stay calm. For the more credit challenged consumers, often the customer service departments have been outsourced to another country. No matter while the recording states, “Your business is very important to us, and please don’t hang up, but all of our service representatives are busy at this time,” wait time can be very frustrating and tends to escalate tempers. Customers who are nasty to representatives tend to receive less service and less consideration. In fact, don’t be surprised if a customer service representative hangs up on you if you become hostile and rude. So take a deep breath, and start the conversation with, ” I know this isn’t your fault ____, but these charges don’t seem fair. Could you help me with this problem?” Say the person by name, and stay professional. Once the representative sees that you are not attacking her personally, you’re apt to get more time and attention. Perhaps you forgot to make a payment last month, and the credit card company hit you with a late fee? Again, remain calm, but instead of acting insulted that the company had the audacity to charge you with a late fee because you have never been late before and sometimes even the most organized people forget a payment, turn it around and explain to the agent what happened. Then ask the service representative to look at your credit record, and ask if there is something that could be done about the problem. Looking to lower your APR or have a fee waived? Ask the representative to review your credit history and explain how much it has improved in the last six months to one year. Credit card companies are forgiving if they see strong and consistent efforts to rebuild credit. Not getting anywhere with a customer service agent? Sometimes new agents do not have the authority to waive fees or increase credit lines. If you find yourself getting frustrated, thank the agent, hang up, and call again. You might get another agent who has more clout and who is more sympathetic. If that still doesn’t work, ask for a supervisor. Keep going up the ladder; you may get a different answer. For those consumers who have trouble staying calm amid these often frustrating “hoops and loops,” why not use the chat digital online services? Conversations can be kept civil and professional, and there is little chance of losing one’s temper. Keep accurate records. Make sure you keep dates, names, and a record of specific conversations. And when all else fails, take to social media in such forms as Facebook, Twitter, or the organization’s blogs, but stay calm and professional. Someone is sure to answer.